Young people are being supported into employment and apprenticeships with the help of a growing training provider. Positive Futures, which recently merged with Enhance Training, has doubled in size and as a result can offer a more comprehensive programme of support and qualifications. The company, which is based in Novus Business Centre in Peterlee, works with businesses and organisations around the region to identify opportunities which help people into work. Four people supported by Positive Futures are Charlotte Hodgson, Kieron Jeffries, Fiona Walker and Chloe Myerscough. Charlotte was successful in securing an apprenticeship with Specsavers in Hartlepool and is now going from strength to strength, juggling hands on experience with learning at college. Kieran, who is also on an apprenticeship at Specsavers, originally applied for the position of Optical Apprentice after completing his A Levels. However, Positive Future director Malcolm Yorke saw the potential in him for another role and after speaking to the team, Kieran was asked to come in for a work trial in the lab and was subsequently offered an apprentice preparing lenses and glasses. Fiona is completing a Level 3 Residential Property Letting and Management apprenticeship with Hartlepool estate agency Atterways. And Chloe, one of Positive Futures’ most ambitious apprentices, is employed at South Shields based estate agency Goldfinch. Chloe has been with the company since doing work experience at school. She impressed managers and was initially kept on part time until she became a full-time member last August. Since then, she has moved from administration work to becoming a property specialist, regularly exceeding her targets. 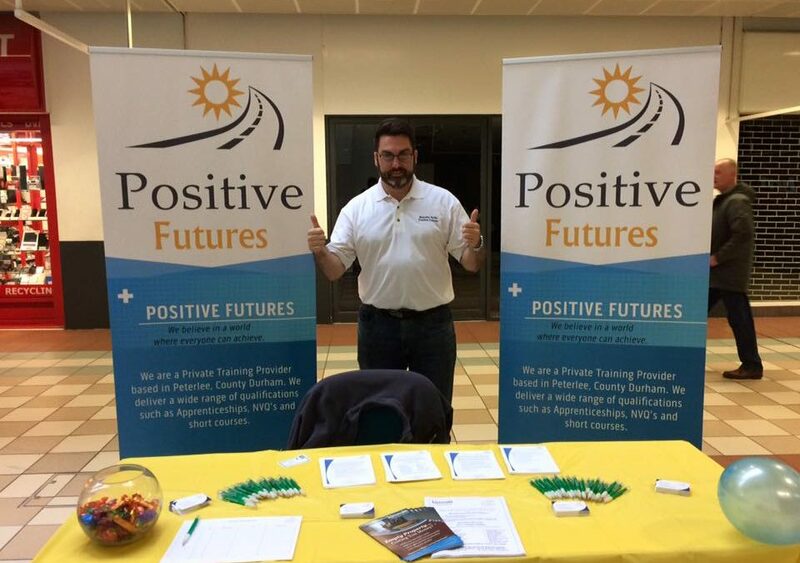 Positive Futures employs six people.